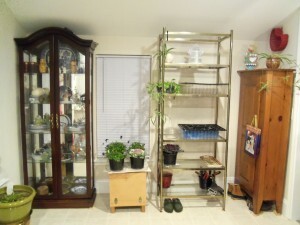 The gold shelving unit in the middle I purchased at the Habitat for Humanity store. 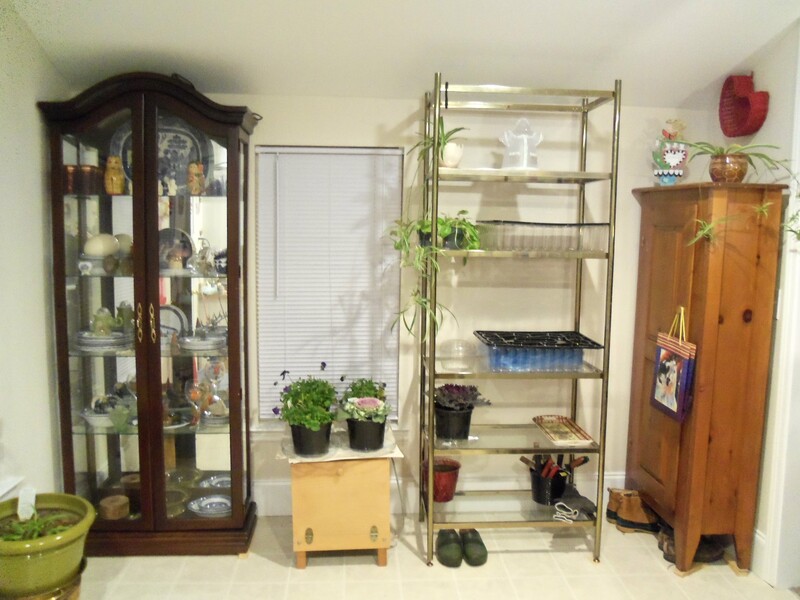 Bought 4 22 inch light units at Lowe’s Hardware with grow bulbs and they are secured to the top 4 shelves. I have 4 big tubs of potting soil/pearlite and vermiculite planted with micro greens, swiss chard, romaine lettuce and kale planted and noticed today (2-6-13) that two of the tubs now have sprouts showing, so the grow lights will go on starting Thursday… pretty soon I will have my own fresh greens for my smoothies and fresh salads greens EVERY DAY! YUM! !